It is with great pleasure that I welcome you to our ISS2019 program! This year’s program features twelve acclaimed guest faculty members from locations as vast as England, France, United States, Portugal, Hong Kong, Australia, Zimbabwe, and Turkey. Consisting of ballet masters, repetiteurs, choreographers and guest teachers, ISS2019’s guest faculty are all acclaimed professionals working actively on the international dance scene today. What connects these outstanding personalities is the fact that each and every one of them are artists - often of quite extraordinary capacities. Two guest teachers that we are very pleased to be welcoming this year are Yannick Boquin and Siner Görenç. Both Yannick and Siner travel the world nomadically working with the world's leading ballet companies and training institutions on a weekly basis. Returning international guest teachers this year are Charles Andersen, Jane Devine and Paul Boyd will assume the role of "ISS2019 Choreographer in Residence." One of my biggest goals as Director of the International Summer School is to offer an accessibility to international knowledge that reflects the exciting developments and revelations within the dance world. To punctuate this commitment, in 2019 we will be hosting our first teachers.symposium - designed to give Australia’s teachers the opportunity to observe and engage directly with our guest faculty. We often hear how teachers lack access to new impulses and I hope that our 3-day program will be a step to providing support in the community. I feel it is important to mention that while the majority of our guests are largely unknown in Australia, nor do they have gigantic Instagram followings to validate them, they are hard working industry professionals that are changing the face of dance in their respective institutions from behind the scenes. Their acceptance to join International Summer School’s faculty and share their knowledge in Australia is a great honour and a largely unprecedented opportunity for young Australian students and teachers. There is no us and them in the arts, there are no winners. There are only those with the courage to be vulnerable and express their ideas. Therefore, I propose that January be the month where Australia’s private and full-time institutions come together, outside of competitive arenas, to find value in creativity and thinking critically about dance. The arts community I know overseas is one of truth and integrity, qualities that can easily be lost when we are consistently drawing comparisons. International Summer School are encouraging teachers, students and parents alike to set aside their chosen syllabi, techniques and school identities so that we can share new approaches to the arts together as a community. I look forward to sharing a vision of contemporary ballet quite different to what we know in Australia this January with you all. ISS2018 Director Terence Kohler spoke with INTERNATIONAL SUMMER SCHOOL'S FIRST "Choreographer in Residence" Cathy Marston to discuss her approach when creating narratives through dance and how she engages dancers during her creative process. Terence Kohler: When did you know that choreography was something you were interested in and what place has it taken in your life? Cathy Marston: Looking back, I’ve always been choreographing, but I didn’t know it until I went to the Royal Ballet School in London at the age of sixteen. Since then it’s been the driver of my whole career - even when dancing myself, I was always looking at my work from a choreographic perspective. TK: Storytelling is making somewhat of a comeback in the dance world lately. Having always creating narrative ballets, why do you think stories told through dance are important for us today? CM: I think stories told through any form of expression are important. Through imagining what it’s like to experience someone else’s journey we learn empathy and develop our emotional intelligence. As a dancer or choreographer, this journey is even more intense as we literally ‘embody’ someone else’s story, or try to find formalised expression of our own stories through our bodies. As an audience member, sometimes images and moments - especially coupled with music - can speak louder than words. Dance can say some things more powerfully and directly that words cannot - and of course vice-versa. Dance can also allow - and challenge - the audience to interpret in a way that provokes more involvement than words, because it’s a language that we are often less confident with, despite reading body language on a daily basis! TK: Only recently you created a new ballet upon the theme of Hamlet in Gelsenkirchen, Germany, however from the perspective of Gertrude. What compelled you to follow this direction? CM: I often look for untold perspectives in classic stories - actually influenced by Tom Stoppard’s Rosenkranz and Guildenstern Are Dead, in which he tells the story of two very minor characters in Hamlet, while Shakespeare’s play takes place in the shadows. Perhaps because I’m now a mother, and having recently had a son, I was drawn to her story! Anyway I felt that she’s a major player in the piece but gets very few lines, and has been rather overlooked in my opinion. I also felt she’s often written off as a ‘negative person’ which I didn’t think was necessarily the case, and so I wanted to investigate! TK: How do you approach narratives? Do you always try to translate stories through dance exactly as they are written on the page or do you have other approaches? CM: I like to interpret, lift up the flaps and find the ‘undersides’ to the story. Sometimes I consider a story from a different perspective to the author. I often take an expressionist approach to using the ‘group’ as a chorus, amplifying and visualising the protagonist’s journey or emotions in a more abstract way. TK: How would you describe your creative process once you’re in the studio working with dancers? Do you tell them exactly what to do? CM: No, I work very collaboratively. we discuss the story, the characters and the relationships between the characters at length. 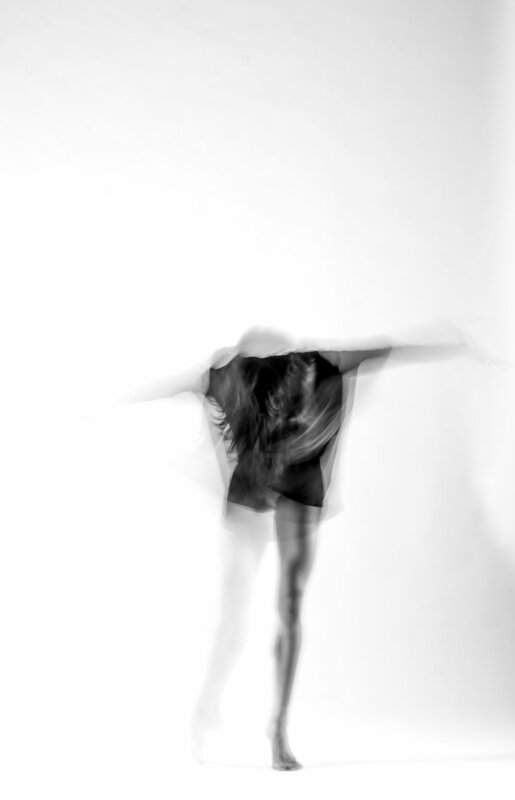 We develop movement by writing lists of words which describe these things more and more abstractly, and then translate these words into movement. This becomes our ‘alphabet’ for the piece, and we draw upon it as I start to put scenes and dances together. It’s always key that we remember the motivation of each movement. TK: What qualities do you look for in dancers when you travel to new companies? CM: I love dancers who have a good technique - often but not necessarily a ballet base, but who are open, hungry, creative, curious and passionate. They should be generous team members, as a story is never about one person only, and the whole is always bigger than the sum of its parts. TK: So often we hear people through all walks of life claim they are not creative. Do you agree with this? CM: Creativity is a word that makes me nervous, as I don’t really understand it, and yet I know that it’s something I’m supposed to be! Perhaps other people feel the same - and if they don’t do jobs that are ‘obviously creative’ they assume that they are not? I suppose most people make, shape, organise, invent things in their lives, be that a dinner for friends, a walk in the park or the way they approach their email inbox in the morning! All of this is creative in some way. TK: How would you describe your relationship with creativity and the creative process? CM: I like to develop systems, and ‘methods’ of stimulating my creativity, because we work in teams, with ‘working hours’ and ‘commissions’ rather than alone in our homes - you can’t wait for the spark of genius to flare whenever it wants! But luckily those teams normally ignite my creativity, so as long as I’m prepared with some ideas when I enter a studio it’s never been a problem! TK: Do you think studying choreography is important for young dancers? CM: As a dancer, I think it’s crucial to understand what you are dancing. This means understanding a choreographer’s intentions, how they are trying to express those intentions and how you might help! I also think that dancers must not be robots but dance as human beings - which means understanding the meaning and context as well as the technique of the choreography. TK: What can students expect from your choreographic workshops at ISS2018 in January? CM: We will make, shape, organise and invent too! We will also imagine and embody the ideas we imagine! Cathy Marston will the International Summer School's first "Choreographer in Residence". As part of this role Cathy has curated a large component of the create.dance program, and will be developing a new ballet for youth.ballet as well as giving choreographic workshops to the senior.dance program. Laura Graham and Nina Botkay travel the world teaching the ballets of William Forsythe and Alexander Ekman to some of the world’s most prestigious ballet companies. Often their work goes unnoticed in official acknowledgements, but without their commitment behind the scenes audiences wouldn’t experience these great ballets onstage. When a choreographer is asked by a ballet company to perform one of their existing ballets, they are often unable to oversee the process themselves as they are too busy creating new work. In the case of William Forsythe and Alexander Ekman, this is where they call Laura Graham and Nina Botkay. Arriving at a new company to re-stage a ballet both Laura and Nina are responsible to select and cast the dancers in the absence of a choreographer. This includes matching up the unique qualities and demands of the original cast’s roles with the dancers they have in front of them and essentially manage a process that will replicate the conditions in which the original ballet was created. Sometimes they danced as members of the original cast themselves, sometimes they assisted the choreographer during the creation process and sometimes they learnt, danced and performed the ballet over many years. Though there many different pseudonyms for their role, Nina and Laura are most commonly called “répétiteurs”, “stagers” or “choreographic assistants” - although the nature of their work could easily elevate them to "miracle workers". They will assume full responsibility of replicating and translating the choreographer's original intentions and motivations by teaching the sequences of movement and creatively sculpting them to fit a completely new set of dancers. Depending on their schedules, or the geographic location of the company, sometimes the choreographer might arrive just before the opening night to oversee and support the répétiteurs work, however more often than not this is simply not possible. In this case, the choreographer places an immense amount of trust in their assistants - enough to say they will inevitably become surrogates or doppelgängers in their absence. Beyond their respective (and highly impressive!) careers as dancers, both Laura and Nina have an extensive knowledge of the international dance scene due to the countless works they have restaged across the globe. We are not only fortunate to welcome both Nina and Laura to ISS2018's guest faculty, but to receive permission from world-renowned choreographers the likes of William Forsythe and Alexander Ekman to have their work introduced to senior Australian students is an almost unprecedented event in recent Australian dance history. Older students in our ISS2018 senior.dance program will be introduced to the styles of Forsythe and Ekman while students in our new youth.ballet program will work exclusively with Laura and Nina to delve further into the repertoire of these exciting internationally acclaimed choreographers. Alexander Ekman is an internationally sought after choreographer that produces entertaining and artistically integeral work within the contemporary and classical dance world. He has created 35 works to date, for companies such as Cullberg Ballet, Netherlands Dance Theater, Goteborg Ballet, Iceland Dance Company, Bern Ballet, Cedar Lake Contemporary Dance, Ballet de l’Opéra du Rhin, Royal Swedish Ballet and The Norwegian National Ballet and Les Ballets de Monte Carlo. Alexander's works are known for their clever ideas, fast-paced choreography and abundance of humor. Besides holding the choreographic credit, Alexander regularly designs the set/costumes and composes the music/rhythms for his creations. Alexander's breakthrough as a choreographer came in November 2006 with »Flockwork«, a work made for Netherlands Dans Theater 2, which toured successfully throughout Europe and for which he created the music and scenography as well. The young swede has been mentioned as a choreographer to watch by Ballet Tanz and was nominated for the Griman Awards in Iceland for his piece »Station Grey - Last Stop«. In 2005 he won the Critic's Prize in the Hannover choreographic competition for »The Swingle Sisters« which was later added to Cullberg Ballet's repertory. He also received the prestigious Drottningholm Scholarship in Sweden. In the spring of 2008 Alexander was asked to create 5 dance installations for the Modern Museum in Stockholm in collaboration with the Cullberg Ballet. In 2009 Alexander collaborated as video artist with renowned choreographer Mats Ek on his new play »Hållplats«. In 2010 Alexander was invited to become associated choreographer with NDT2 until 2013. Alexander’s work »Cacti« (NDT2 , 2010) was an instant hit and has been performed by NDT2 in the Netherlands and on tour world-wide to great acclaim since. »Cacti« was nominated for the Dutch dance prize »Swan best dance production 2010«. In 2011 Alexander created new works for Gotenborg Ballet, Cullberg Ballet and Cedar Lake Dance Company. His first full evening, »Ekmans Triptych - a study in entertainment«, was premiered by Cullberg Ballet in 2011 and has been presented on tour since. From 2012 to 2014 Alexander will be creating new works for NDT2, NDT 1,Royal Swedish Ballet, Norwegian National Ballet and Les Ballets de Monte-Carlo. He will also be staging his works on 3 continents with various known dance companies among which Boston Ballet, Basel Ballet, Sydney Dance Company, Sao Paolo City Ballet, Royal Ballet of Flanders. Alexander's dance film »40 Meters Under« for Cullberg Ballet is available for rental and purchase on iTunes. »40 Meters Under« was created as part of a Cullberg triple bill evening and has since been repeatedly broadcasted on National Swedish Television. Professional dancers travel far and wide to be coached personally by Laura Graham. Her inquisitive nature is second to none and we look forward to welcoming such an internationally acclaimed dancer, ballet master and repetiteur to our ISS2018 faculty. At present Laura is a ballet master for the Dresden Semperoper Ballett in Germany where she brings her diverse experiences in coaching pieces ranging from classical, Neumeier, to Balanchine and Forsythe ballets as well as assisting choreographers in new creations. Laura won the top awards in Varna’s 1990 International Ballet Competition, receiving best partner with Steven Hyde, and Mark Godden receiving best choreography for Myth. As a principal ballerina with the Royal Winnipeg Ballet she performed many classical principal roles including Odette/Odile in Swan Lake, Nikiya in La Bayadere, Juliet in Rudi Van Danzig’s Romeo and Juliet, Giselle and Myrta in Peter Wright’s Giselle, Titania in Frederick Ashton’s The Dream, Louisa in John Neumeier’s Nutcracker, Kitri in Don Quixote, Four Last Songs by Rudi Van Danzig, George Balanchine’s Concerto Barocco, Tchaikovsky Pas de Deux, Tarantella, Hans van Manen’s 5 Tangos, Hammerklavier, Cowgirl in Agnes De Mille’s Rodeo and Jacques Lemay’s Le Jazz Hot Pas de Deux. As well as creating roles, Anne in Jacques Lemay’s Anne of Green Gables, Mark Godden’s Myth as well as Symphony #1, Life by Michael Peters. As a principal with Bill Forsythe’s Ballet Frankfurt, Laura was part of numerous creations most notably in the original cast of The Vertiginous Thrill of Exactitude as well as dancing the leads in some of Forsythe’s most well known repertoire including In the Middle Somewhat Elevated, Artifact, France Dance, Limbs Theorem and The Second Detail. Laura started teaching and setting ballets in Ballet Frankfurt and soon started teaching as a guest teachers with many companies and open studios around the world including Royal Winnipeg Ballet, Cullberg Ballet, Bolshoi Ballet, Ballet National de Marseille, Nederlands Dance Theater, Ecole de Danse de Geneve, The Forsythe Company, Architanz Studio in Tokyo and The Loft in Brussels. As a Forsythe Ballet Master, Laura has set ballets on the Dresden Semperoper Ballett, The National Ballet of China, the Universal Ballet in Seoul, Korea, San Francisco Ballet, Bavarian State Ballet in Munich, and La Scala Ballet in Milano, Italy. She has also coached many wonderful internationally renowned dancers including Roberto Bolle, Darcey Bussell, Marta Romagna, Alicia Amatrian, Nadja Saidokova, Mikhail Kaniskin, Sofiane Sylve, Yumiko Takeshima, Raphael Coumes Marques to name a few. ISS0218 will be Laura’s first visit to Australia and she will be teaching both the senior.dance and youth.ballet courses. Be sure to take eight minutes out of your day to fall in love with this touching SHORT story about stayING creative AND CURIOUS! In a busy life, Copi is a father who tries to teach the right way to his son, Paste. But - What is the correct path? IS THE YOUTH.BALLET COURSE FOR ME? Are you at a pre-professional standard with your dancing? Are you planning to enter into a professional finishing school in the next year and a half? Do you feel confident with your pas de deux and partnering skills? Have you participated in the Sydney Eisteddfod Ballet Scholarship and advanced beyond the first elimination round? Have you been considering applying to compete at the Prix de Lausanne in the next 2 years? Are you open to explore new ideas? If the answer to the majority of the above questions is yet, then you are a prime candidate for our youth.ballet course. Students participating in our first youth.ballet program in January 2018 will study 21st Century repertoire contemporary ballet repertoire exclusively. This will include guided introductions to the styles of William Forsythe and Alexander Ekman and culminate in a new creation by our ISS2018 Choreographer in Residence Cathy Marston and the presentation of first choreographic sketches from students in our create.dance program. William Forsythe is synonymous internationally for his ability to push the boundaries of classical ballet to its limits through his innovative and intellectually stimulating approach to choreography. Acclaimed Ballet Frankfurt dancer and ballet mistress of the Semperoper Dresden Laura Graham will be introducing students to the holistic approach required of Forsythe’s style. Regularly staging his works for companies worldwide, students will benefit from Laura’s ability to bend and manipulate the ballet technique, not only meeting the requirements of Forsythe’s choreography but liberating them as individuals. Depending on enrolments, Laura would also like to introduce the intricate partnering work so typical of Mr. Forsythe’s ballets to young students. Representing the next generation of choreographers beyond William Forsythe, the repertoire of Alexander Ekman will introduce students to a more absurdist and contemporary movement vocabulary. Former Netherland Dance Theatre dancer Nina Botkay will highlight the precision required of executing Ekman’s style which is often so full of challenging rhythmic complexities. Each season new companies around the world are adding the work of Alexander Ekman to their repertoire as his pieces manage to captivate their audiences with humour and humanity and engage them with highly theatrical worlds. Another choreographer creating worlds onstage is Cathy Marston, however Cathy uses narrative and the building of characters as the motivation for creating her ballets. Often re-imagining great works of literature for the stage, Cathy’s creations are known for their ability to empathically engage dancers through her discovery-based processes. Working with Cathy will offer students the chance to develop their skills as co-creators while developing a new ballet with Cathy over the duration of the course. Participants in this course will perform the first performance of this new ballet at ISS2018's new Closing Night Event on 19th January 2018. Acclaimed American Ballet Theatre principal dancer Robert LaFosse will join our ISS2018 on behalf of the acclaimed American Ballet Theatre Jacqueline Kennedy OnaSsis School. Get to KNOW Robert ahead of his first trip to Australia. Robert La Fosse was born in Beaumont, Texas, and received his ballet training at the Marsha Woody Academy of Dance. He continued his studies in New York with David Howard at Harkness House and Stanley Williams at The School of American Ballet. He joined American Ballet Theatre in 1977, where he danced as a Principal Dancer for nine years. In 1986, he was invited by Jerome Robbins to join New York City Ballet as a Principal Dancer. Throughout his career, he has danced leading roles in many full-length ballets including Albrecht and Hilarion in Giselle, James in La Sylphide, Franz and Dr. Coppelius in Coppelia, Prince Siegfried in Swan Lake (Act II), Solor in La Bayadere and the U.S. premiere of Sir Kenneth MacMillan’s Romeo and Juliet. His enormous repertory includes leading roles in works by world-renowned choreographers, including Eugene Loring’s Billy the Kid, Agnes de Mille’s Rodeo, Anthony Tudor’s Jardin aux Lilas, Twyla Tharp’s Push Comes to Shove, The Little Ballet, Deuce Coup, The Golden Section and Nine Sinatra Songs. With the New York City Ballet, Mr. LaFosse has danced in George Balanchine’s Donizetti Variations, Ivesiana, Prodigal Son, Scotch Symphony, Slaughter on Tenth Avenue, Union Jack, Vienna Waltzes and Who Cares?, Jerome Robbins’ Afternoon of a Faun, Brahms/Handel (choreographed with Twyla Tharp), The Concert , Dances at a Gathering, Fancy Free, Fanfare, The Four Seasons, Gershwin Concerto, The Goldberg Variations, I’m Old Fashioned, In G Major, Interplay, Ives Songs, Other Dances, Piano Pieces, Opus 19/The Dreamer, Watermill; and Peter Martins’ Concerto for Two Solo Pianos. He originated roles in Jerome Robbins’ Quiet City, Piccolo Balletto and West Side Story Suite; Twyla Tharp’s Bach Partita, Octet, Sextet; Lynne Taylor-Corbett’s Great Galloping Gottschalk; and Peter Martins’ A Fool for Your and Tea-Rose. In addition to his work in classical ballet, Mr. LaFosse has also starred in Broadway productions of Bob Fosse’s Dancin’ and Jerome Robbins’ Broadway, for which he received a Tony Award nomination for Best Actor. In 1992 he was a guest artist with Twyla Tharp and Dancers at City Center. He also serves as Artistic Director of “Stars of American Ballet,” a small touring group consisting of principals and soloists from American Ballet Theatre and New York City Ballet. In addition to performing, Mr. LaFosse is also a choreographer having created for Mikhail Baryshnikov and Company, The School of American Ballet, Guggenheim Museum, the Metropolitan Opera, the Bavarian State Opera Ballet, American Place Theatre, Les Ballets Trocadero de Monte Carlo plus numerous works for the New York City Ballet. In 1987 Robert LaFosse wrote his autobiography entitled ‘Nothing to Hide’ published by Donald I. Fine. Mr. LaFosse’s television appearances include “American Ballet Theatre in San Francisco,” Anthony Tudor’s Jardin aux Lisas and Lynne Taylor Corbett’s Great Galloping Gottschalk, “the ABT Live from Lincoln Center” broadcast dancing Kenneth MacMillan’s Triad, and in “Baryshnikov Dances Tharp,” in Twyla Tharp’s Push Comes to Shove. Mr. LaFosse appeared in the “Live from Lincoln Center” telecast of “Ray Charles in concert with the New York City Ballet” in the role Peter Martins created for him in his ballet A Fool for Your and the “Dance in America” program, “Balanchine in America” in Western Symphony. For “GREAT PERFORMANCES’ 20th Anniversary Special” he danced with Kyra Nichols in Peter Martins’ Not My Girl. In the winter of 1993, Mr. LaFosse appeared as Dr. Stahlaum in the film version of George Balanchine’s The Nutcracker, produced by Elektra Entertainment/Reency Enterprises. Mr. LaFosse currently teaches at the American Ballet Theatre Jacqueline Kennedy Onassis School and participating in the International Summer School will be his first time in Australia. At ISS2018 Mr. LaFosse will teach at the senior.dance, youth.ballet courses and well as host the masterclass.audition for the American Ballet Theatre Jacqueline Kennedy Onassis School. For the first instalment in our ELEVATE series we're asking our ISS2018 faculty how they see creativity emerging through dance? Before we begin, our discussion may benefit from an understanding that dance is something that we share together through cultural domains. Whether we're going to the watch a live performance at a theatre or simply bopping away at a friend's birthday party, dance is something that we share socially in our lives. At it's most basic function - we have the ability to cultivate dance with our own moving bodies but also have the ability to appreciate and interpret the danced expressions of others. Nowadays, the majority of dance is shared recreationally, but in Australia, dance has a long history of being an integral to the survival of our indigenous peoples. Long before the printing press was invented or YouTube shared our videos, indigenous cultures utilised dance as way of passing sacred knowledge into the future. Until today, indigenous rituals and dances are preserved by the elders of their respective communities and are introduced to younger generations at milestone stages in their lives. NINA BOTKAY: Creativity is present in every aspect in the art of dance. From the dancers' input in exchange with the choreographer to all other arts involved in the build up of a piece (costume, lighting, music -if its a composition, production, set designers...). DANIKA MARTIN: The art of dance allows for the use of the body as a form of expression. Through the manipulation of the elements of dance (space, time, dynamics and relationships) choreographer's have the ability to develop movement that says something to an audience in the same way an artist can depict a message on canvas. The uniqueness of dance however, is that a dancer can bring themselves to the artwork, their background, experience, influences and passion. It allows for a collaborative creativity and expression. CHARLIE ANDERSEN: Creativity is the centre of what makes dance an art form and not a sport. Thousands of dancers do the same steps all over the world yet each dancer has the opportunity to present those steps in their own unique way. I like to think of dancers as colours. I am a “Blue dancer” some directors really love “red dancers” I can add lots of red to my dancing but because I am Blue I will never be pure red but instead I can adapt to new colours as requested by directors or choreographers. This creativity and ability to adapt is what gives us new and exciting colours all the time in Ballet. LAURA GRAHAM: Gosh, creativity is (hopefully) flowing in every aspect of our lives. How we make our tea in the morning can be creative. For dance, I guess I would say having curiosity to learn a new way, to see things with slightly different eyes. It’s how we approach our dance… For each of us as dancers—and choreographers, or stagers and teachers. It’s never stopping questioning the possibilities. It can be huge, and can be quiet and subtle. In our next edition of our ELEVATE series we will be asking our ISS2018 faculty - what is choreography? William Forsythe has been active in the field of choreography for over 45 years. His work is acknowledged for reorienting the practice of ballet from its identification with classical repertoire to a dynamic 21st century art form. Forsythe's deep interest in the fundamental principles of organisation has led him to produce a wide range of projects including installations, films, and web based knowledge creation. Raised in New York and initially trained in Florida with Nolan Dingman and Christa Long, Forsythe danced with the Joffrey Ballet and later the Stuttgart Ballet, where he was appointed Resident Choreographer in 1976. In 1984, he began a 20-year tenure as director of the Ballet Frankfurt. After its closure, Forsythe established a new ensemble, The Forsythe Company, which he directed from 2005 to 2015. 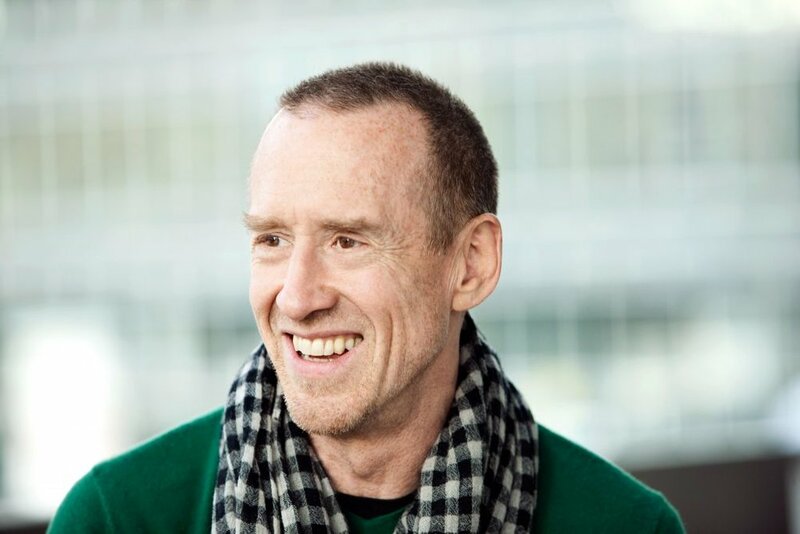 Forsythe’s most recent works were developed and performed exclusively by The Forsythe Company, while his earlier pieces are prominently featured in the repertoire of virtually every major ballet company in the world, including The Mariinsky Ballet, The New York City Ballet and The Paris Opera Ballet. William Forsythe is a current Professor of Dance and Artistic Advisor for the Choreographic Institute at the University of Southern California Glorya Kaufman School of Dance, as well as Associate Choreographer with the Boston Ballet. The ballet world eagerly awaits a new creation from Mr. Forsythe for the English National Ballet in early 2018. At ISS2018 students in the youth.ballet course will dive into learning repertoire from William Forsythe and students in the senior.dance course will have a brief introduction this his choreography. ESTEEMED TEACHER PAUL BOYD (QUEENSLAND BALLET ACADEMY) WILL BE JOINING OUR INTERNATIONAL SUMMER SCHOOL IN JANUARY 2018. AS PART OF OUR INTERVIEW SERIES, WE ASKED EACH OF OUR FACULTY MEMBERS ABOUT THEIR VALUES AND EXPERIENCE AS A TEACHER. WHAT DO YOU FEEL HAVE BEEN YOUR STRENGTHS AS A TEACHER? I think my strengths as a teacher at ISS have been the attention to finer details of the student’s work in the classes. It is important to make students realise that musicality is an incredibly vital aspect of a dancer’s training; the finer detail to lower leg articulation; expressive but correct port de bra etc; making them aware of their instrument to not just do but to feel their bodies. Another strength would be Pas de deux and the male’s role in this area. I see many young men with a lack of knowledge in partnering so I feel this is a strength of my teaching and I enjoy passing this on. Also, male teaching and making young men aware of the requirements of the male technique is important. Choreography is another, and being able to hopefully bring a versatile element to ISS as a choreographer is a strength that I hope to bring as well. WHAT DO YOU FEEL ARE YOUR CORE VALUES AS A TEACHER? My core values as a teacher are bringing a discipline to the studio, being honest with my instructions and comments, but at the same time letting the students know that I care about them as young people and their futures. WHAT AGE GROUPS AND STYLES DO YOU FEEL MOST BENEFIT FROM YOUR WORK? I feel that the older age groups benefit more from my tuition. I believe that there are teachers that are truly gifted with teaching younger people. I think due to the ‘fine tuning’ of teaching that I can pass on, the older age groups can benefit more from that level of tuition. Paul Boyd will be teaching the senior.dance and youth.ballet courses at ISS2018. 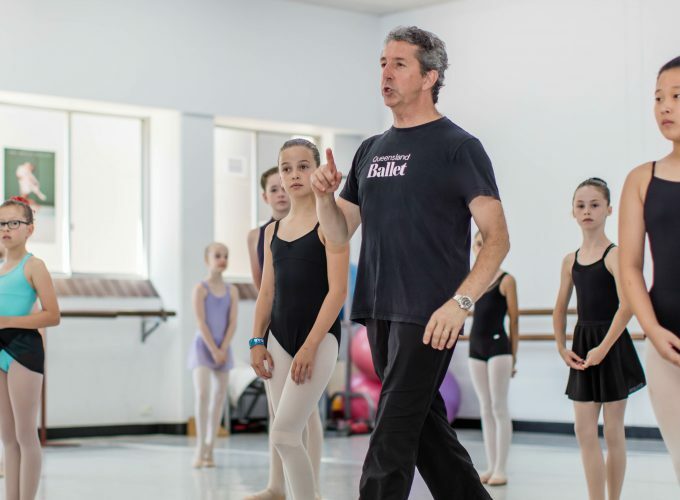 ARTISTIC DIRECTOR OF THE AMERICAN BALLET THEATRE JACQUELINE KENNEDY ONASSIS SCHOOL, CYNTHIA HARVEY, SPEAKS WITH TERENCE KOHLER, OUR INTERNATIONAL SUMMER SCHOOL ARTISTIC DIRECTOR, ABOUT THE RARE OPPORTUNITY TO AUDITION FOR THEIR SCHOOL AND WHY AUSTRALIAN DANCERS ARE SO UNIQUE. Terence Kohler: In 2016, you returned to the American Ballet Theatre after a long and illustrious career with the company, however, this time as Artistic Director of the ABT JKO School. Together with your team of celebrated teachers, what do you see as being the most important goals for your tenure at the school? Cynthia Harvey: I have several goals. First, to move into a building where we’d have more studios and dorms. This is something we’re in the process of doing. Currently we have four studios and some 400 children. This makes a difficult task even more difficult. My team is incredible at juggling the schedule. Our dorms are for students aged 15 and above and they are about a half hour away from the studios. Secondly, I’d love to create an academy for the Upper divisions primarily; students 13-19, where they can do their academic courses on site. Currently, students in NYC attend either privately funded or city schools. There are performing arts schools that work with us to allow the students to leave early to come attend our dance classes and many students over age 15 do online schooling. We begin classes around 13.30 or 14.00. With those things, then I would create programs for the specific age groups. Right now, though the teaching is excellent, I would love to have further mentoring, more events, and stream the classes into two divisions for each level – one for students of talent, and one for students who only wish to work recreationally. This year, and in the future, the Upper divisions are made up of students who I feel have potential to move onto professional careers but in the past it was a bit of a mixed bag. TK: What qualities do you look for in your students when they audition for the ABT JKO School? CH: I’m looking for a dancer who moves with ease, who has long arms and legs; who has easy coordination and good proportions. I’m personally looking for a fearless and imaginative, musical dancer with something in their eyes; a hunger or focus. TK: You have chosen Robert LaFosse as your personal representative at our masterclass.audition in ISS2018. Could you tell us why you have chosen Mr. LaFosse specifically and what he might be able to offer young Australian dancers? CH: Robert had been one of my favourite partners when I was dancing at ABT. He is positive, he’s highly musical, with a background in training with David Howard, who was my teacher and mentor in NYC. He understands exactly what an ABT dancer is. He understands how possible it is to make kinetic movement in ballet. Robert is versatile and has trained in the ABT curriculum but also challenges and asks questions. He’s not a yes man. He will be honest with me and lets me know if something doesn’t seem to be working and he does that in a very positive way by adding a possible solution. Most of my Upper division teachers are of a similar mindset. We all are ballet advocates. TK: Often parents find it difficult to know whether sending their child overseas to study is the right thing or not. Would you be able to offer any advice in coming to such a decision? CH: General advice is tough to give. Much depends on the student; is he/she adventurous? Are they shy? Would they be comfortable in a large city? Are they somewhat independent and responsible? All I can say is that we have very nice dorms, though limited in numbers, with two dorm matrons on duty, kitchen facilities and a meal plan. We have wellness lectures and social workers with whom they can speak if they get homesick or feel anxious about any aspect of their lives during their time here. We try to nurture our students. We are all too aware that nothing can replace parental love, but we have the wellness program which is truly up and running this year, and an open-door policy that we hope averts real problems, before they arise. Having said all that, if they want to see what the competition is like outside of their home studio, and the expectations from another perspective, then send them overseas. TK: Alongside the ABT JKO School you are also the Artistic Director of the En Avant Foundation. What prompted you to establish this unique cultural venture and could you explain a little about the philosophy at its core? CH: I began the En Avant Foundation, a foundation for specialised ballet coaching, because I was frustrated at reading and hearing that ballet wasn’t what it used to be – that the focus became about quantity and not quality. I was fortunate to work with Ashton, DeValois, MacMillan, Tetley, Kylian, Baryshnikov and Makarova to name but a few, so I am in a position to pass down my knowledge. I can call on my colleagues who worked with these and other geniuses of the ballet world, to pass down what they know-directly. The likes of an Edward Villella, who knew exactly what Balanchine wanted, is usually only available to company members who are working on a Balanchine ballet. I felt that it would be beneficial to pass the knowledge sooner, rather than when a dancer is already in a company. I don’t want the information that comes to a student to come solely from YouTube. TK: You are no stranger to young Australian dancers having joined the International Summer School’s faculty in 2008 at the invitation of our founding Director Jacqui Dumont. What were your impressions of young dancers in Australia? CH: I love how the Australian dancers reflect their geography – they dance big and are open. It is a joy to work with such physically gifted, serious students. I look forward to doing it again in the future! TK: What advice would you give students participating in our ISS2018 masterclass.audition series? CH: Come prepared to listen to Mr. La Fosse regarding musicality. He is wonderfully musical. Don’t be nervous – be yourselves and really dance, and don’t hold back. masterclass.audition for ABT JKO School is exclusive to International Summer School. Find out more here. FOUNDING ISS FACULTY MEMBER JANE DEVINE TALKS ABOUT HER EXPERIENCES AS A TEACHER AT INTERNATIONAL SUMMER SCHOOL. WHAT DO YOU FEEL HAVE BEEN YOUR STRENGTHS AS A TEACHER AT ISS? I am an easy, simplistic communicator and my focus is making the understanding of ballet more logical and therefore more applicable to young dancers. For me it's important to ensure all of the students feel they have gained understandable and valuable information which they can implement as they go forward improving in their dancing. That everyone understands that they can be a better dancer with knowledge, above all - understanding of that knowledge and then the application of that knowledge. Helping students to think much more and teaching them to take much more ownership of and responsibility for their dancing - thus empowering them to gain more positive results for themselves. Trying to instill into young dancers the enjoyment, creativity and expressiveness of the art form - beyond the required demands of classical technique. Trying to instill the maintenance a sense of humour about themselves around what can be a hard and at times, inte nse road to success. Usually young people from approx 12 years old and up because it is around these ages, particularly the older students who have perhaps become more negatively critical of themselves and who can learn to approach their training with more of a "can do, will do" mentality. Jane Devine will be teaching the junior.dance and senior.dance courses at ISS2018. ISS2018 faculty member Danika Martin talks about her experiences as a teacher at International Summer School. Always difficult to acknowledge strengths in one's self but I guess I would say my diversity. I am trained in and feel confident teaching a variety of different styles which is obviously a positive as a faculty member, however I also think it is valuable for the students to see that they do not necessarily have to fit into the mould of a particular style of dance and that it is possible to continue training in a variety of styles, using this to become a unique dancer/choreographer. I approach dance as an art form whereby the body is used to communicate a concept/intent with an audience. In respect to this philosophy, I believe that performance, composition and appreciation of dance share equal weight and value and that to truly understand this art form, students must experience dance from each of these three viewpoints. From a less philosophical stand point, I am an advocate for safe dance practices both in the obvious sense of the term (the correct anatomical/physiological placement of the body) and from the viewpoint of a dancer's mental health and wellbeing. I am an advocate for positive psychology and as such, believe it is important that teachers practice mindfulness in the way they speak to students and the type of language they use when discussing a student's work or performance. WHAT AGE GROUPS AND STYLES DO YOU FEEL MOST BENEFIT FROM YOUR WORK AT ISS? I enjoy working with all ages. Being a high school teacher I feel that the older students would benefit from my perspectives of dance from an academic standpoint. Alternatively, I have a lot of experience teaching the foundations of dance technique and performance qualities to younger students which I find fulfilling in a completely different way. Danika Martin will be teaching the junior.dance and senior.dance courses. Find out more about International School School here.